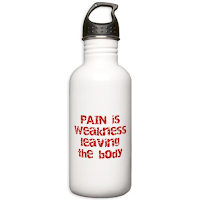 Being Frugal and Making It Work: Cafe Press: Get Fit & Stay Hydrated With Motivational Fitness Gifts! Cafe Press: Get Fit & Stay Hydrated With Motivational Fitness Gifts! What comes to mind when you think of diet and exercise? Do you think of comfortable workout gear, water bottles and motivational artwork? 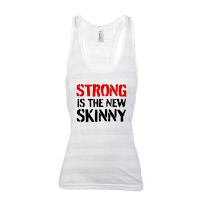 CafePress has a wide variety of fitness items to keep you focused, comfortable and hydrated as you live your healthy, fit lifestyle. 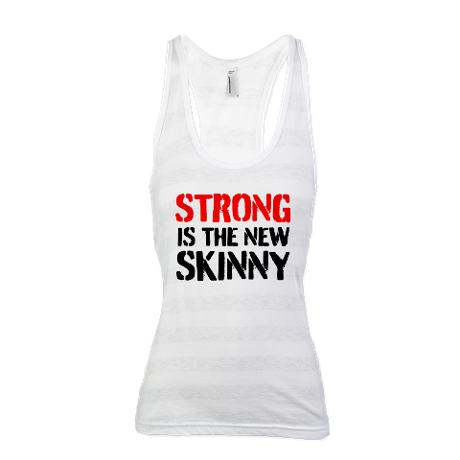 Everything from motivational t-shirts, gym bags, and water bottles. One of the things I love most about CafePress is their variety of items for every occasion. Personalized clothing, photo gifts, accessories, and stationary for everyone and every room of your home. The products have special meaning, and can really put your feelings, emotions, and goals into perspective. Every CafePress purchase comes with a 100% Satisfaction Guarantee. Simply return it within 30 days for a full refund (which should give you plenty of time to make sure it's the right color or right size). Just contact their Customer Service team and you're done. Plain and simple. The only issue I have when shopping for an item(s), is choosing which one to order. With so many wonderful options that always seem perfect, it's difficult to know which ones to choose. If only I could order them all - then everything would be smooth sailing! Through some 2 million shops, customers can choose from over 325 million products on every subject imaginable — many available on over 600 product SKUs (from apparel and drinkware to posters, electronic accessories and more). Plus users can make their own designs with our easy online design tools, then buy them, share them or sell them in their own online shops. CafePress ships over 6 million products annually, and has over 11 million unique visitors to their website each month. Have you ever shopped at CafePress? Disclaimer: I will receive a complimentary gift card to purchase items from CafePress for the purpose of writing a review. Regardless, I only recommend products or services I use personally and/or believe will be a good fit for my readers. The views and opinions expressed on this blog are purely my own. Results may vary. No monetary compensation was received. I love CafePress! I have shopped there many times, usually for unique and awesome gifts. Cafe Press has the best stuff. When I visit the site I always end up spending way too much time there. i love that you can personalize stuff! I've only shopped at CafePress once, but I do really like all their items (whether personalized or not). So many clever and unique screens that you can apply to almost anything you want. Pretty neat. I just bought three shirts from Cafe press, they have the best stuff. I have not but checked them out. They have some great gift ideas, especially for my kids! 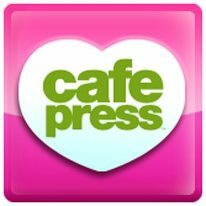 I have never shopped at Cafe Press but will give it a look. I like the idea that products have a 100% satisfaction guarantee and a liberal return policy. That makes shopping on the internet a lot safer! I have shopped at CafePress. I love Cafepress! I made gifts with my kids handprints and shirts for them that they love!